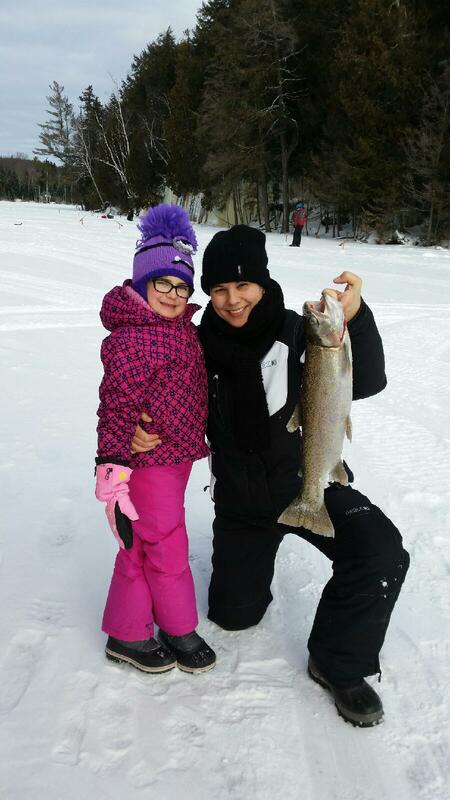 At spring break, we have a few places for daily ice fishing . We always receive children under 15 accompanied by an adult free. It’ s important for us to encourage the next generation and introduce them to this great activity. It is possible to book a heated hut to warm you up near your fishing site. You will catch speckled trout and rainbow trout in the same lake. 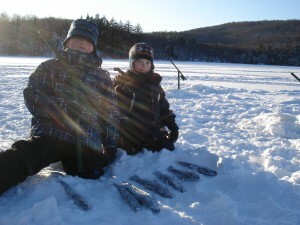 The package includes transportation on the lake with 5 holes and five lines by fishermen. Contact us to reserve your place, as they are limited.